The BCM21552G is a single chip that incorporates a modem and application processor as well as support for NFC and is designed for smartphones retailing at under US$100. Broadcom has announced a new baseband processor and reference design which will add advanced features, including NFC, to smartphones retailing for less than US$100. A reference design based on the chip includes Broadcom’s InConcert connectivity suite, support for NFC via the company’s BCM20791 NFC controller, dual-band Wi-Fi, Bluetooth 4.0 and a global navigation satellite system (GNSS) that uses both GPS and Glonass for fast and accurate location capabilities. 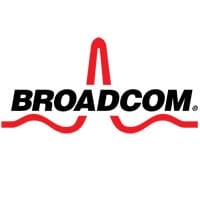 “The new platform will further popularize advanced connectivity features previously available only on more expensive phones,” says Broadcom.